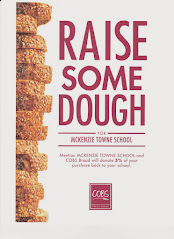 McKenzie Towne School Parent Association: Welcome Back Mckenzie Towne Families! Welcome Back Mckenzie Towne Families! I don't know about you, but today was FULL!! Welcome back to school, and welcome back to your Parents' Association. We look forward to meeting you and greeting you on Thursday morning at the annual Muffin Mixer...rain or shine! Come join us at the back of the school for a coffee and a muffin, grab a timmies on the go! A representative from State Farm will be on site to answer any questions you might have about your Insurance needs. More than anything, this is a great opportunity to meet the other parents in our school community and check out your awesome Parents' Association! Look forward to a flood of information, ADmazing Coupon Books, (formerly SUTP), Casino Updates, School Information and important dates. Our first meeting is set for this coming Monday, September 12th at 6:30 pm in the teachers lounge. We hope you can make it out!